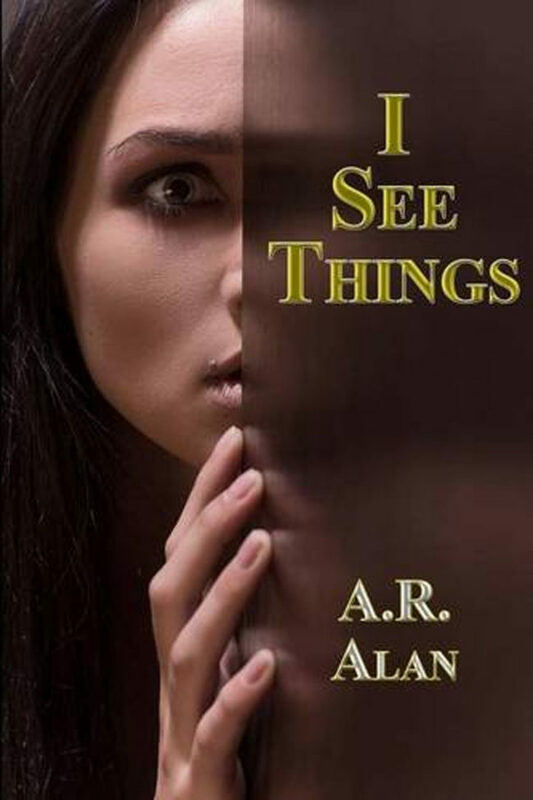 I See Things is a fast-paced thriller with lots of twists and turns that will keep you guessing until the very last page. Homicide Detectives Catherine Delaney and Cody O'Dell get a call from a woman who says she's had a vision of a dark-haired teenager being abducted outside a Target store, and the girl is now a prisoner in a snake-filled room. Convinced the woman is a kook, the detectives write her off. That is, until Hillary Blackstone is reported missing the following morning. Unfortunately, beautiful Hillary Blackstone is only the first girl to be abducted by this twisted, sexual deviant. When this madman is finished playing sick games with his victims, he injects them with snake venom and then tosses their ravaged bodies into a canal. 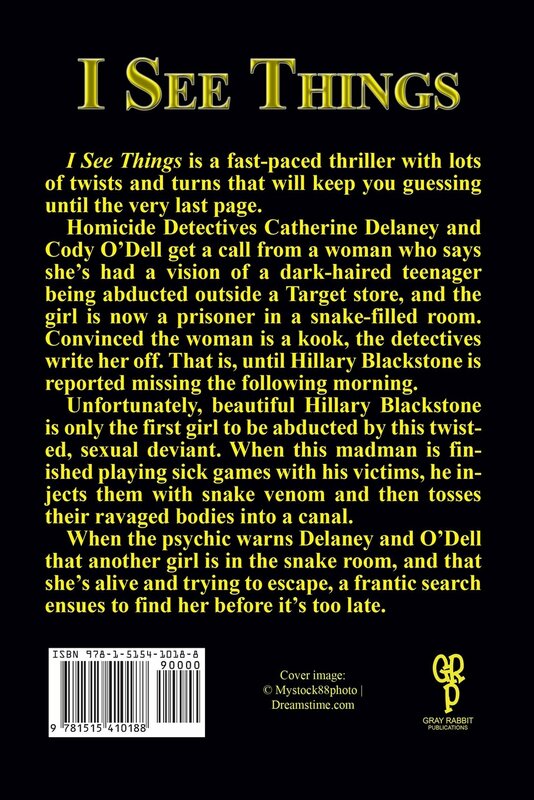 When the psychic warns Delaney and O'Dell that another girl is in the snake room, and that she's alive and trying to escape, a frantic search ensues to find her before it's too late.